The new models were unveiled at a special launch event held today at the Fairmont Bab Al Bahr, Abu Dhabi,thatwas attended by senior members of the Al Fahimfamily as well as executive management from theEmirates Motor Company andthe Mercedes-Benz Middle East Regional Office. Available in both petrol and diesel variants, the new mid-size Mercedes-Benz Vito sports a host of outstanding features and technical enhancements to deliver improved performance and fuel efficiency. The the rear wheel drive tourer features a row of seats in the cargo area with sliding doors which serves for a multipurpose usage. The new MCV- 260 R/T, on the other hand, is a passenger-friendly urban transporter that offers unprecedented levels of comfort, space and support for passengers in its category. The vehicle is designed for short distance rides for employees or groupsand intended as intercity transportation of around 150 to 200 kilometers per trip. 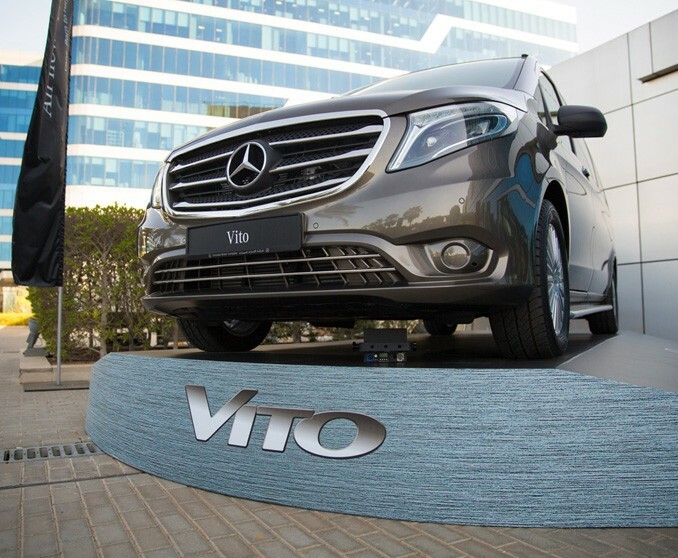 Launched as part of Mercedes-Benz's sustained efforts to attain a leading position in the mid-size van segment, the new Vito incorporates a broad range of innovative safety and assistance systems. The highly versatile and professional van in the 2.5-3.2 t GVW segment offers a broad range of outstanding features. The 8.5 metre-long new MCV- 260 R/Tholds a large three cubic metreluggage compartment, seats 32passengers in addition to the driver and boasts personal AC units for each passenger. Its resilient 140 horse power engine ensures ease of driving and enhanced passenger safety on the roads.